1. Registration is from October 1 – 28, 2011. 2. Registration form is available at the Balay Negrense and Negros Museum and can be requested from the Negros Museum email: negros_museum96@yahoo.com or thenegrosmuseum@gmail.com. 1. The participants for all categories of Adobo Cooking Competition will cook their adobo on the spot on November 5, 2011 at Balay Negrense. 2. Participants are to bring their own ingredients, cooking utensils & stove. 3. Entries must be innovative or an interpretation of a tried and true recipe. 4. Basic ingredients must include vinegar and garlic. 5. The following will not be accepted as ingredients: dog, cat, turtles, eagles, spotted dear, ocean mammals, or any endangered plant or animal. 6. Measurements for the ingredients should be in metric system. 7. Recipes should indicate the number of servings. The recipes will be judged by a panel. Judges’ decision is final. The contestant with the highest score will be declared the winner. Everything on the plate must be edible. Cash prizes, gift packs and certificates will be given to the 1st, 2nd and 3rd place winners of the 2 categories. 1. Registration is from October 1- 28, 2011. 2. Registration form is available at the Negros Museum and The Balay Negrense and can be requested from the Negros Museum email: negros_museum96@yahoo.com or thenegrosmuseum@gmail.com. 3. Recipe for the Muscovado entry shall be submitted together with the registration form and registration fee of P250.00. The contestants are to bring their cooked muscovado dessert on November 5, 2011, 10:00 A. M. sharp at Balay Negrense to be judged for the competition. Late comers will not be accepted. 1. Entries must be original or an interpretation of a tried and true recipe. 2. Basic ingredients must include muscovado. 4. Recipes should indicate the number of servings. The recipes will be tried and judged by a panel. Judges’ decision is final. Cash prizes, gift packs and certificates will be given to the 1st, 2nd and 3rd place winners. 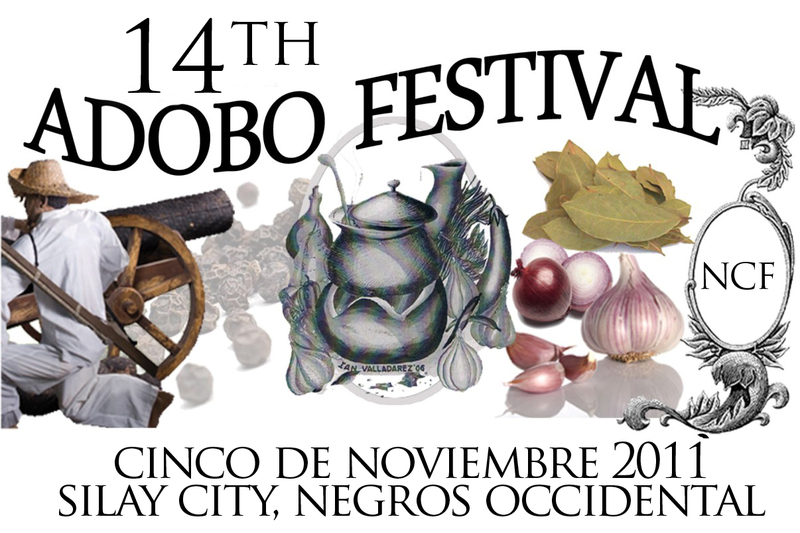 All Adobo and Muscovado entries shall be the property of the Negros Cultural Foundation. Recipes will be included in the Adobo & Muscovado Recipe Book, to be published. Continuously for the past 13 years, food enthusiasts from all around have gathered every Cinco de Noviembre at the Balay Negrense to share a gustatory experience, the annual Adobo Festival, in line with our observance of Cinco de Noviembre Celebration in the City of Silay. 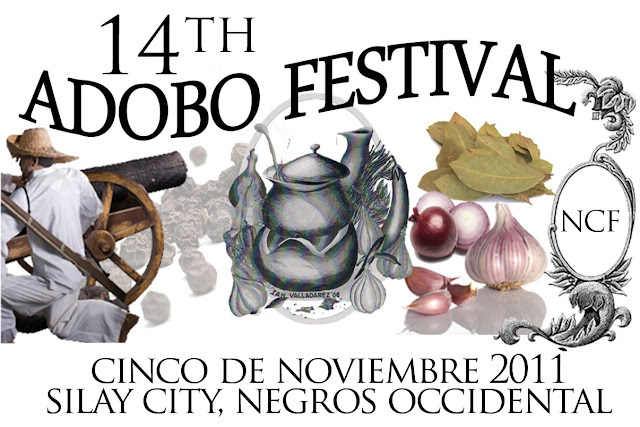 The Adobo Festival, endorsed and supported by the Department of Tourism and the City Government of Silay headed by Mayor Jose “Oti” Montelibano, features an Adobo Cooking Competition which has been a testimony of our mark as Filipinos – Adobo being a dish prepared by our ancestors long before the Chinese traders came to the Philippines and the Spaniards colonized us. Now on our 14th year, the Negros Cultural Foundation once again brings together culinary experts, cooking aficionados and budding chefs from all over the Visayas to challenge to come up with new tastes for this tried and tested Filipino dish. To add to the excitement, we also celebrate the 6th year of the Muscovado cooking competition which has produced a rich harvest of recipes using muscovado sugar as main ingredient. We strongly urge for the local government units to send as many contestants as they can for our Adobo Cooking Competition (One Visayas Challenge – LGU Category) to officially represent your LGU. This category hopes to marry history, culture and culinary arts and the use of authentic Adobo recipes. Your official representatives may also highlight their recipes with your LGU’s most famous product as the main ingredient. We also have the Category for Aspiring Chefs to concoct new recipes based by the well-loved Filipino dish. This is open to culinary students, food lovers, cooking enthusiasts, amateur chefs and best home cooks. More than a hundred recipes after, the Adobo Cooking Competition will be open to the Visayas region to once again challenge gourmets, cooking aficionados, foodies and especially homemakers to concoct new recipes based by the well-loved Filipino dish. The Muscovado Cooking Competition continues on its 6th year this 2011. This has already produced a rich harvest of recipes using muscovado sugar as main ingredient. The recipes range from entrees to main dishes, from drinks to desserts. This year, this competition will be a venue for all DESSERTS that would go with Adobo. The Kitchen Art Exhibit is an exhibit that aims to support, encourage, inspire, and expose the flexibility and artistry of our local Negrense Artists. This will also provide a venue for Negrenses to collect art pieces (at reasonable price range P5 – P 5,000) that will enhance their kitchen. Open to different media, Kitchen Art encourages the artists to feature a theme of kitchen and food. The Adobo Festival invites chefs and culinary masters to share new recipes to the Negrense crowd during the celebration through cooking demos. This also includes free food sampling and tasting for the different hotels and restaurants who will take part in this event. In partnership with the Hawaiian Philippine Central Company of Silay City, this exhibit will feature the history of muscovado in Negros Island, the making of the muscovado and the nutritive value of the muscovado. This will help raise awareness for the importance of muscovado production and trade. The compilation of Adobo recipes for the past 13 years and the entries for this year will be featured in the Adobo Cookbook 2011. This will also include articles from known food critics, historical importance of Adobo and Muscovado, trivia and other information related to Adobo. CHITS - AVAILABLE AT 200.00 FOR THE ADOBO LUNCH. Pre-selling chits at the Negros Museum. 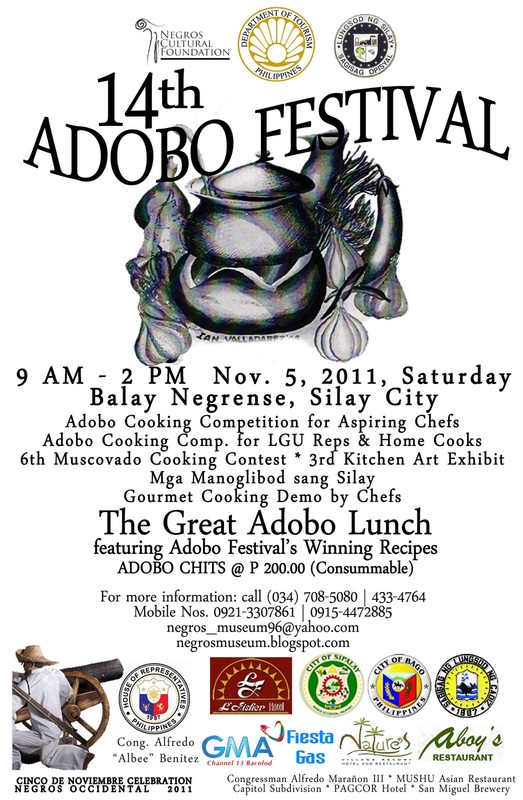 For more information, contact the Adobo Festival Secretariat at the Negros Museum (034)4334764, 4319451 or 7085080. Email negros_museum96@yahoo.com or find us on Facebook (http://www.facebook.com/negrosmuseum).